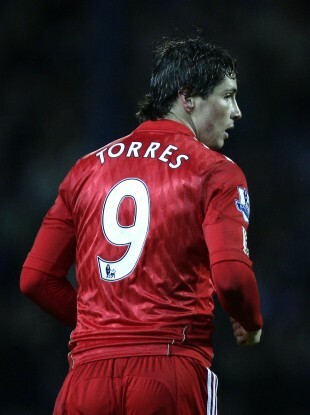 Liverpool say they have rejected a bid of around £40m from Chelsea for their number 9, World Cup winner Fernando Torres. Every morning, TheJournal.ie brings you nine things you really need to know before you start your day. 1. #INSURANCE: Health insurer Aviva is to follow the lead of the VHI and increase the cost of its policies by 14% from the beginning of March, it has emerged. Both the Irish Times and Irish Independent report that the hike is due to be announced this morning, and will see the cost of every policy increased across the board. 3. #FINANCE BILL: The final leg of the Budget will begin its final legislative challenge today, as the Seanad begins a two-day debate on the Finance Bill. The entire day has been allocated off to discuss the ‘Second Stage’ of the Bill, with opposition senators tabling a number of amendments. If the Seanad passes any amendments the Dáil hadn’t considered, the Dáil will be reconvened on Saturday night to vote on them. 4. #AER LINGUS: Talks between cabin crew members of the IMPACT union and management at Aer Lingus will begin this morning, aimed at resolving the 12-day dispute over new staff rosters, which have led to over 130 staff being removed from the company payroll. 5. #CRIME: A 30-year-old man was shot five times (including three times in the chest) in a gangland shooting in Clonsilla, northwest Dublin, last night. The man – named by The Star as bodybuilder and music promoter Sean Enright – was sitting in a car at the time, but was able to walk into the ambulance for medical treatment. 6. #GE11: Fianna Fáil has moved to distance itself from former leader Bertie Ahern, after the public backlash following the three-time Taoiseach’s assertion that not building a National Stadium was his biggest regret. “What happened with Bertie is irrelevant to what this election is about, which is about the future,” a FF spokesman told the Irish Independent. 7. #SEXISM: The wife of former Sky Sports host Richard Keys has said the sexist comments that cost both him and Andy Gray their jobs was mere “lads’ banter”. “The wrong two guys were given the red card,” Julia Keys said. The Daily Mirror reports, however, that both Gray and Keys could be set for new jobs at Al Jazeera, who presumably can’t be too bothered by the whole affair. 8. #PROTESTS: The wave of public protests in the Middle East has moved to Yemen, as demonstrators demand regime change in the Arab world. Egypt, meanwhile, appears to have virtually disconnected the country from the internet, with the Guardian reporting that about 88% of Egyptian-based sites having gone offline overnight – in a move aimed at blocking access to Twitter and Facebook, which had been used to organise protests. 9. #NAZI FANMAIL: Adolf Hitler’s last surviving bodyguard has asked people to stop sending him fan mail, as his old age now means he has no chance to reply to it. Rochus Misch, 93, told the Berliner Kurier that he still received letters from all over the world – and “not one has a bad word to say” – but his age meant he could no longer sign as many autographs as they wanted. Email “The 9 at 9: Friday”. Feedback on “The 9 at 9: Friday”.